← BOOZING MY SHORE EXCURSION? Love This Chick. A lifetime ban and a $2.5MIL fine on a pathetic old bigot? Sometimes photoshop speaks louder than words. 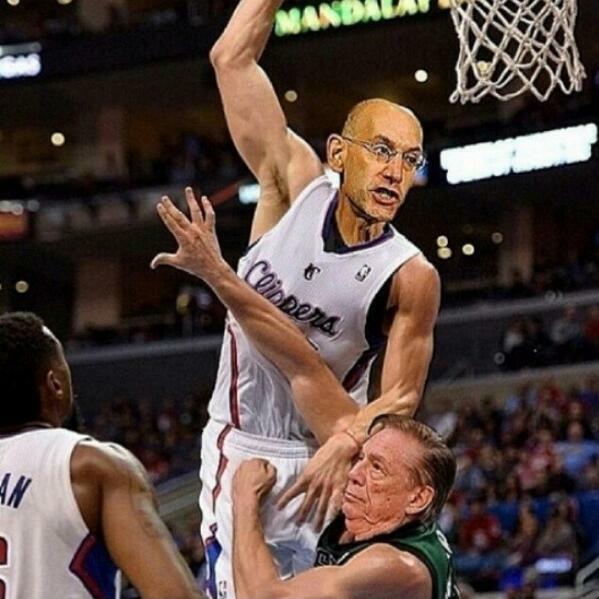 Eff Donald Sterling. All hail Adam Silver! This entry was posted in ART, NBA and tagged adam silver, donald sterling, silver posterizes sterling. Bookmark the permalink.